MINI TAC SERIES Cold Steel’s new generation of Mini Tac Neck Knives are astonishingly light at 3 ounces each. Because they’re so lightweight, they can be comfortably worn practically 24 hours a day. With their sturdy bead chain lanyards and their rugged Secure Ex® sheaths (specially designed to snugly retain the knife while allowing a speedy draw stroke), they can be worn outside clothing and perform as a handy utility or rescue knife. They can also be carried more discreetly under a shirt or blouse, or inside a coat. They can even be used for camping or hiking as they can easily be tied or taped anywhere from a backpack to a fanny pack. Their versatility is virtually endless. Fashioned from AUS 8A stainless steel and reflecting state of the art heat treatment they are honed to a razor edge and exhibit incredible toughness for such a small knife, due in part to their full tang construction. 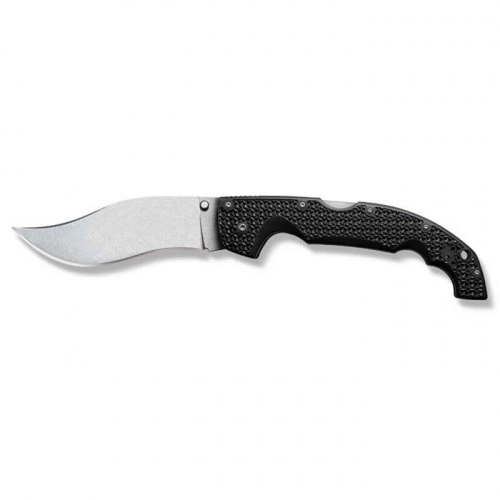 Tough, rough, and ready for anything, they come equipped with thin high quality black Faux G-10 handle scales. This feature allows them to lie flat and close against the body and provide an aggressive gripping surface. Also when these scales are combined with integral sub hilt they give the fingers of the hand incredible purchase and allow a remarkably secure grip that resists rolling or twisting. 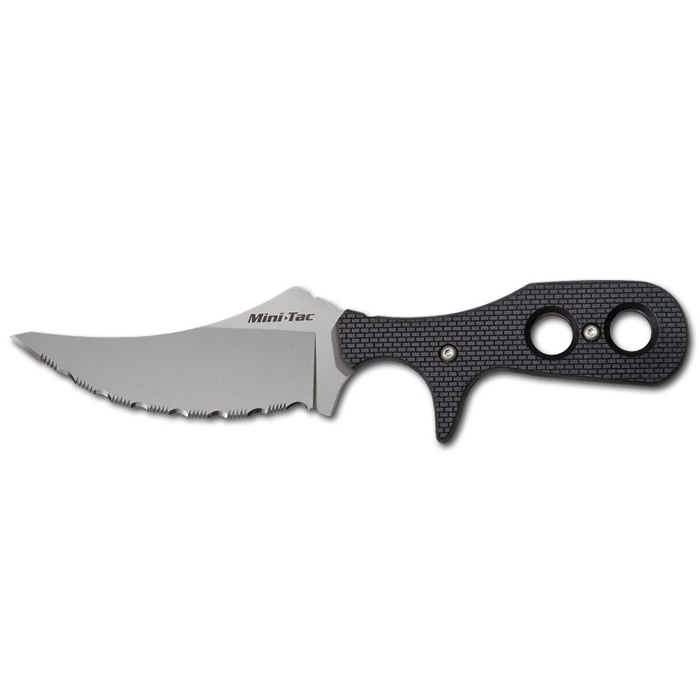 SKINNER: Provides a long, curved cutting edge with a sharp point. It’s ideal for cutting slashing and skinning strokes. It’s been extensively fieldtested in Australia where it single handedly caped a huge buffalo slicing through neck skin over 1″ thick!